Amid the 'intolerance' debate, Prime Minister Narendra Modi on 29 November said he proposes to put in place 'Ek Bharat, Shresht Bharat' scheme aimed at strengthening the country's unity and harmony and invited suggestions in this regard. "Internal vigilance is the prize of liberty. Unity of the nation -- this culture should continue... On the occasion of Sardar Patel's anniversary on October 31, I had talked about 'Ek Bharat, Shresht Bharat (One India, Supreme India)'... I want to give 'Ek Bharat, Shresht Bharat' the shape of a scheme," he said in his monthly radio programme 'Mann Ki Baat'. He asked people to give suggestions on the portal MyGov.com as to what should be its structure, the logo and how to increase public participation in it. "It is expected to be a very specific scheme. 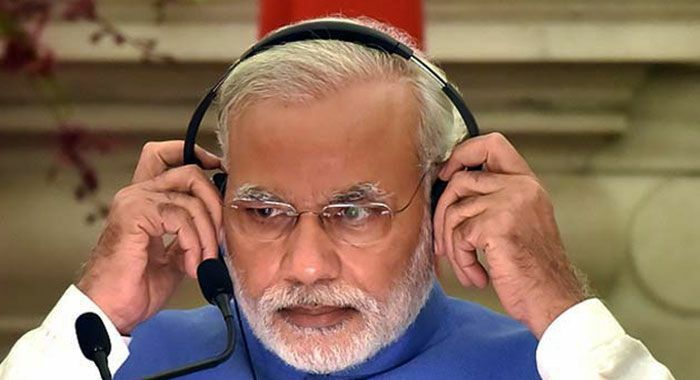 Apply your creative mind and give suggestions as to how to connect each and every Indian with the mantra of unity and harmony and 'Ek Bharat, Shresht Bharat'," the Prime Minister said. He said suggestions should be with regard to what kind of scheme it should be, the kind of programme under it and what should the government, the society and the civil society do. "It should be full of life and a prestigious scheme and connect everybody in an easy manner," Modi said. His proposal to bring out a scheme to enrich the culture of unity and harmony assumes significance against the backdrop of allegations by some sections that 'intolerance' is growing and that the government is doing nothing about it.